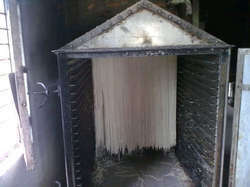 Leading Wholesale Trader of chowmein making machine, belna machine, noodles steamer and maida mixture machine from Kolkata. Cutter Size (inch) 10 & 11"
Roller Width 9" & 10"
We are able to bring forth an impeccable collection of Chowmein Making Machine for our customers. 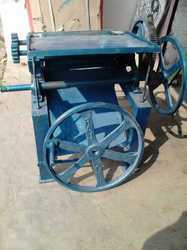 These machines are available with us in various sizes. Besides, clients can purchase these offered unmatched products from us at nominal prices. These are produced by skilled workforce with the use of finest quality input factors and tools. Before their final dispatch, these machines are inspected strictly against different values of quality. With an objective to cater the required expectations of our esteemed clients effectively, we are engaged in providing Belna Machine to the clients. 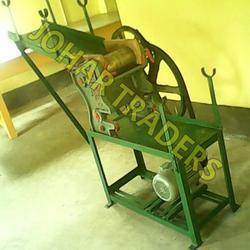 These machines are designed and developed in accordance with the globally accepted quality standards. For their matchless quality, the provided products are highly demanded in the market. Offered products are available with us in numerous specifications to our valuable customers. We are an acclaimed organization in the industry actively engaged in offering our precious clients a superior quality array of Noodles Steamer that is demanded highly in the market. These steamers are made using progressive technology in compliance with worldwide quality values. Known for their sturdy design, these steamers are obtainable in different stipulations in tune with the needs of our respected clients. We are the accredited provider of a premium range of Maida Mixture Machine. Designed by qualified and well trained professionals by taking better quality assured production material, these machines are well known among the clients for their superior quality. In ahead of their final dispatch, these mixtures are inspected strictly on diverse values of quality. Our valuable clients can easily avail these products at market leading prices from us.